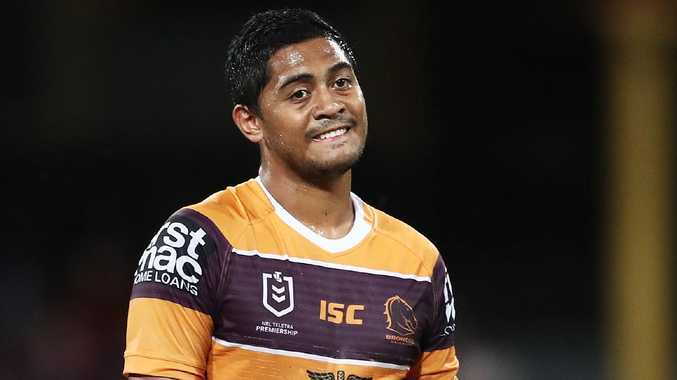 THE choice to make Anthony Milford the Broncos' long-term playmaker came out of a belief by Anthony Griffin, Darren Lockyer and later Wayne Bennett that he would grow into the role and maybe become a bigger personality. But Milford has looked downcast after emerging from the dressing-room after each of Brisbane's past two losses into the short-lived company of waiting reporters. By declining interview requests after the loss to the Tigers last week he is not taking on the load which a club's best-paid player should during a run of defeats - which puts pressure on the entire organisation. Milford's consistency in game management is short of what an NRL team needs, especially as he plays in concert with a running half, Kodi Nikorima, and it understandably is not his favourite topic of conversation. While we can't hold everyone to the standards of Allan Langer, the four-time premiership captain was at his best publicly after a Broncos loss. Langer would look to talk up his teammates even if it meant being critical of his own performance. Most importantly, he fronted as a Broncos figurehead player, saving someone else from the responsibility of picking the right words. 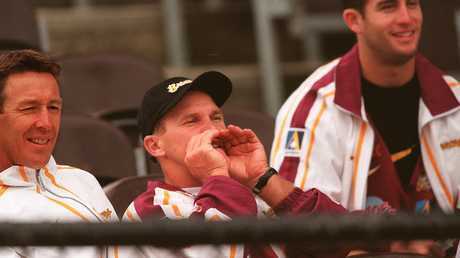 Allan Langer was never short of a word after a Broncos loss. Lockyer, a member of the Broncos retention and recruitment committee for Griffin, Bennett and current coach Anthony Seibold, said this week he believes in Milford maturing into a more consistent playmaker. The former champion playmaker cited Melbourne's cultivation of Cooper Cronk, a centre, into one of Australia's greatest halfbacks. Lockyer was pivotal in keeping an uncertain Milford on track to honour a contract to join Brisbane in 2015 when he came under pressure to stay at Canberra and renege on the deal. The contrast in Milford's body language at the moment is stark when placed beside that of 18-year-old Tom Dearden, who fizzed with energy at training on Monday. Sure, life is less complicated when you are a halfback for an Intrust Super Cup side, Wynnum, rather than the best-paid player of a Broncos team who have lost four of their first five matches. Dearden has put on 6kg in a weights program this year which positions him to make his first-grade debut later this year if the Broncos' game management doesn't improve. It was a moment to note when Dearden jumped higher than Nikorima to grab a bomb during kicking drills on Monday. Another option - 20-year-old recruit Sean O'Sullivan - had his season set back by a knee injury. Seibold is coaching the team Bennett and his staff put together. That's the way rugby league goes. It will take a year or two at least before the personnel Seibold truly wants at Red Hill will be there. Seibold has held tight to Milford and Nikorima, a fairly irrepressible character outwardly, when plenty of big-name pundits have been telling him it's time to cut his losses. It would have been a shaky start to building his relationships with the Brisbane players had Nikorima not been given an extended run at No.7 after his energetic finish to last year. It was a season, lest it be forgotten, in which Milford was crowned the club's best and fairest while playing exclusively at five-eighth.